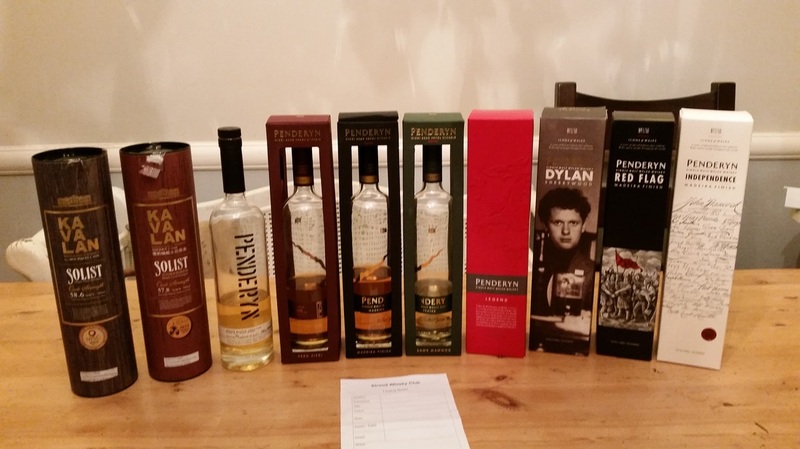 THis page commemorates when Penderyn joined SWC for a tasting evening. Penderyn are the makers of Welsh Whisky and we were absolutely delighted when they agreed to join us at Stroud Whisky Club. Having tried their flagship Madeira as part of our Battle of Britain we knew the quality of their single malt is very high. The tasting event was hosted by distillery Laura Davies and the distilleries managing director Stephen Davies. The passion and knowledge for the Whisky was evident. As the UK distributors of Kavalan they also brought bottles of sherry cask and bourbon cask (both cask strength). Our blog has details of the bottles and the tasting note. I must say on a personal note I was a fan of Penderyn even before visiting the distillery but the evening with them here and the hosted tasting vertical really impressed me and reinforced the quality of the product and the passion that goes into making it.